Based upon Homeopathic remedies and advanced Nutraceuticals, Biogetica has carefully crafted a unique kit that will help reduce many menopausal symptoms. Claiming to reduce hot flashes, irritability, insomnia, mood swings, and headaches while stimulating the nervous tissues and providing hormonal balance, Biogetica touches on many issues surrounding the transitional stages. Because many users have had great success, let us delve deeper into the components of this product. Because three supplements create this kit, there are different dosages for each. For Climateric 200, users take 2 pills 3 times a day. 4 pills of the OM 24 Femal Genital should be taken three times a day. 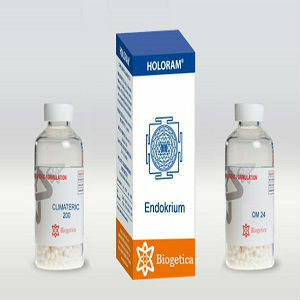 Finally, 1 tablet of Holoram Endokrim should be taken twice a day. It is recommended that this supplement be taken before breakfast and dinner. The Biogetica Freedom Kit can be purchased for $99.00. There is no indication that customers can receive any form of a discount. Also, there is no indication as to how long this supply will last. Every Biogetica kit is backed with a 90-day 100% money-back guarantee. This is a solid guarantee as long as results can be seen within this timeframe. If results take longer than approximately 90 days, this guarantee is invalid. Although the Biogetica Freedom Kit does seem to provide relief from symptoms associated with menopause, the above information reveals a rather big element that should be of concern to future users. This element is the daily dosage. Because this kit is created using three supplements, three different dosages must be taken. Calculating the daily dosages for each supplement, users will have to consume 20 pills daily. This is a startling number as many people shy away from taking three pills a day. Trying to remember to take all those pills on a daily basis will be overwhelming and cause more headache than it is worth. Jackie Horowitz	reviewed Biogetica	on June 21st	 and gave it a rating of 2.